ISHPEMING – Congress Pizza teamed up with the Lake Superior Community Partnership (LSCP) to celebrate its newly constructed patio with a ribbon cutting ceremony. This family friendly restaurant began making pizza’s in the 1950’s and has kept their traditional pizza recipe over the years. Famous for their homemade thin crust pizza and sports memorabilia covering the walls, the Congress has been a treasure in downtown Ishpeming. Their hours are 4 p.m. to 12 a.m. Sunday through Thursday, and 4 p.m. to 2 a.m., Friday and Saturday. The Congress is located at 106 Main Street in Ishpeming. 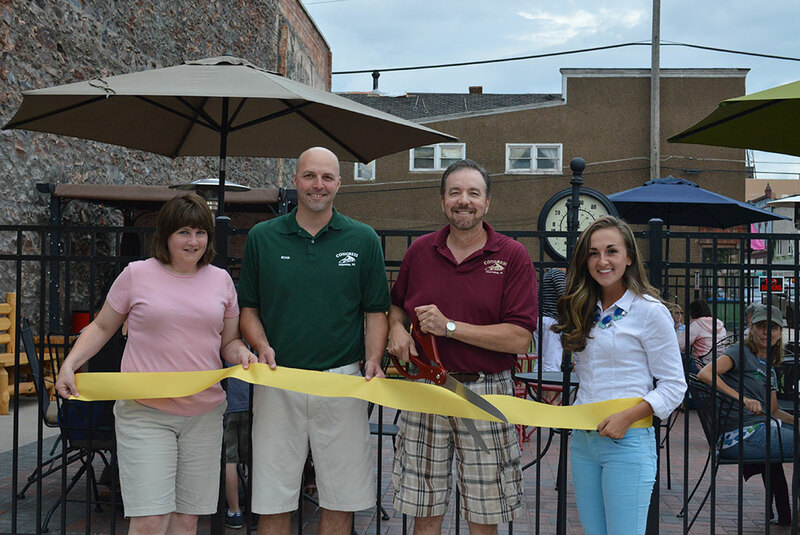 Share the post "Congress Pizza celebrates new patio with ribbon cutting ceremony"
Categories: Business Announcements and Marquette County.